Carrie A. Kortegast, Ph.D., has been at NIU since summer 2014. She teaches courses on college student development, administration of higher education and student affairs, campus environments, and diversity in higher education. Prior to working at NIU, Kortegast taught in the Higher Education Administration program at Vanderbilt University and served as the assistant dean of Students and Director of Housing and Residential Life at Denison University. 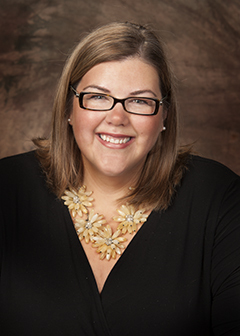 Her professional experience also includes working in admissions and alumnae affairs at Mount Holyoke College. Kortegast has been actively involved with NASPA - Student Affairs Administrators in Higher Education. She has served as the co-chair for the GLBT Knowledge Community, the NASPA Undergraduate Fellows Program Board, and the NASPA Region IV-E Board. She also is an active volunteer for the Alumnae Association of Mount Holyoke. She also writes about the use of visual methods and methodologies in higher education research and pedagogy.